Peace Idea – Potential Energy Breakthrough Wind Power – Lighter than air balloon. 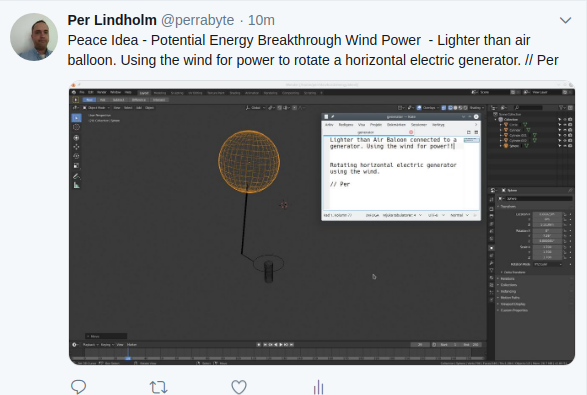 Using the wind for power to rotate a horizontal electric generator. // Per | Peroglyfer – Machine Learning changes math. Math changes everything.